This evening we went out for dinner to a nearby Phở restaurant. I ordered the beef brisket phở which was so yummy! The broth was pretty tasty, and that was even before I added the basil, cilantro, bean sprouts, lime, and jalapeños. A touch of Hoisin and hot chili sauce and it was perfect! 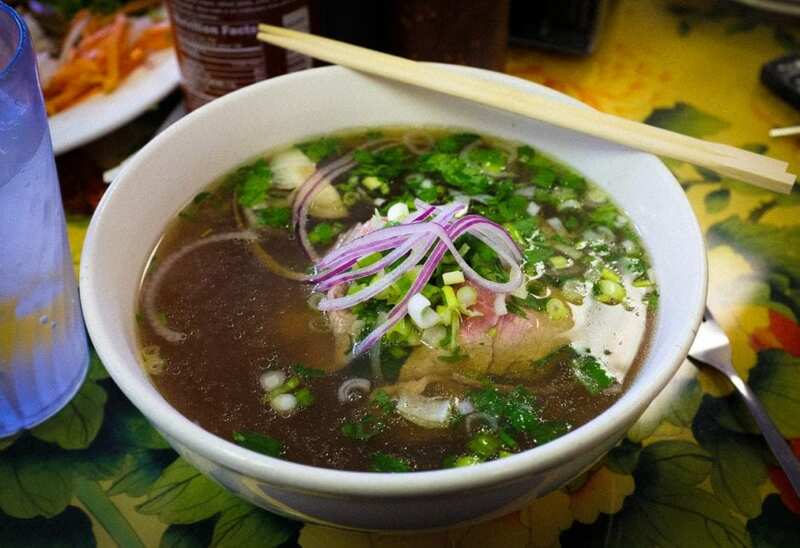 When I was growing up, I never had phở. I had eaten lots of instant ramen growing up, and then enjoyed real restaurant ramen in my 20s. I even had a lot of Chinese noodle soups when I lived in Monterey Park. So yummy! Then I moved to Japan and was in ramen heaven. But still, I hadn’t had pho. In fact, I didn’t even know what phở was until we moved to Austin.